In a double U-turn this week, councillors of Purbeck District Council and East Dorset District Council, two of three authorities, which were opposed to council reorganisation in the county, have voted to withdraw their opposition. 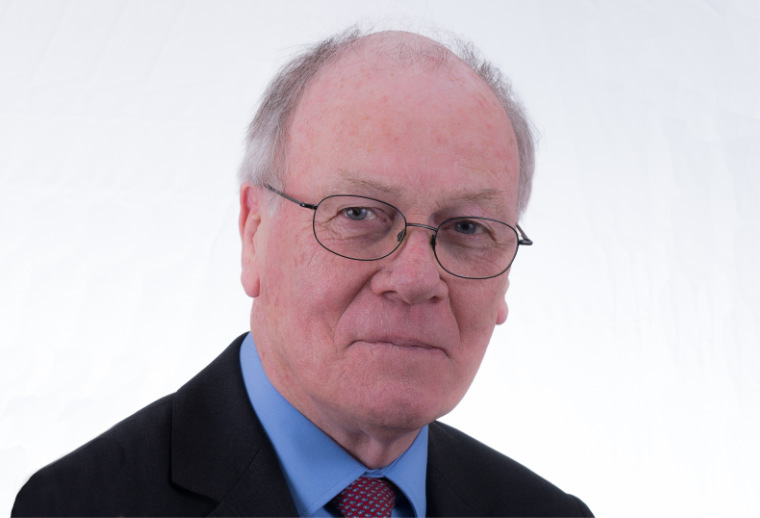 Leader of East Dorset District Council, Spencer Flower: "We have moved a step closer to local government reorganisation in Dorset"
In Purbeck councillors voted 19 to 5, with one abstention and in East Dorset the margin was narrower with 14 to 12 and one abstention. Both councils will now write to the Secretary of State to accept his ‘minded-to’ decision. Previously, in January 2017, both councils voted to not support submission to the Secretary of State of a case to change local government in Dorset. Six other Dorset councils supported the submission and asked the Secretary of State for Communities and Local Government to implement a reorganisation by the formation of two unitary councils. He has invited representations until 8 January, after which if he reaffirms his decision to support local government reorganisation in Dorset, the new unitary councils will be formed on 1 April 2019. If the merger plan goes ahead, it will reduce the number of councils from nine to two with the aim of saving £200m by 2019. Councillor Gary Suttle, Leader of Purbeck District Council, said, “Our job is to provide services to our residents and maintain those services at a reasonable cost and level of efficiency. Although Purbeck District Council had previously not supported the proposal, it recently became a member of a Dorset Area Joint Committee, comprising Dorset councils, enabling it to participate in discussions about working together on the delivery of services. Cllr Suttle said he had recently raised a number of concerns with the chairman of the Dorset Joint Committee, Cllr Rebecca Knox. The concerns covered harmonisation of council tax; the important role played by town and parish councils; safeguarding existing Local Plans; management of local development; and safeguarding local decision making. He said that Cllr Knox has given a number of assurances that these are being addressed. Following East Dorset District Council’s full council meeting on 11 December, the leader of the council, Spencer Flower, said, “I am pleased that the majority of members recognise that following the Secretary of State’s ‘minded-to’ decision we have moved a step closer to local government reorganisation in Dorset. Our priority moving forward has to be getting the best for our residents and by accepting his decision we are showing we are committed to this. Christchurch Council, the third council to originally oppose the reorganisation is holding a local poll to obtain the views of its residents, which closes tomorrow [14 December]. David McIntosh, chief executive of Christchurch and East Dorset Councils said, “Councillors are keen to gain a clear understanding of whether or not Christchurch residents support the current proposal which would see Christchurch become part of a single unitary with Bournemouth and Poole.